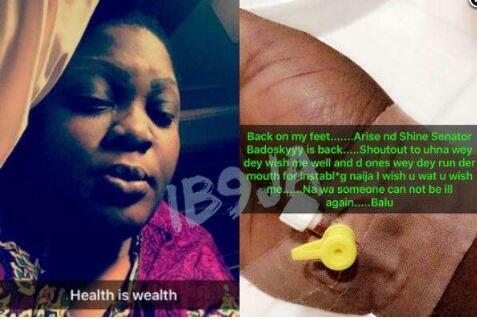 After revealing that she was hospitalised due to ill health, the Nollywood actress was forced to endure negative comments from haters on social media over her health and how she would end up. Now that she is back on her feet, she wishes them exactly what they wish her. She took to social media to thank her fans that cared enough to reach out to her as well as pray for her. Badmus only recently lost her father and obviously has enough to deal without the additional burden of negative comments.